Cherokee Silversmith General B. Grant handcrafted this bracelet cuff with heavy Sterling Silver for people who like to feel the quality around their wrist. 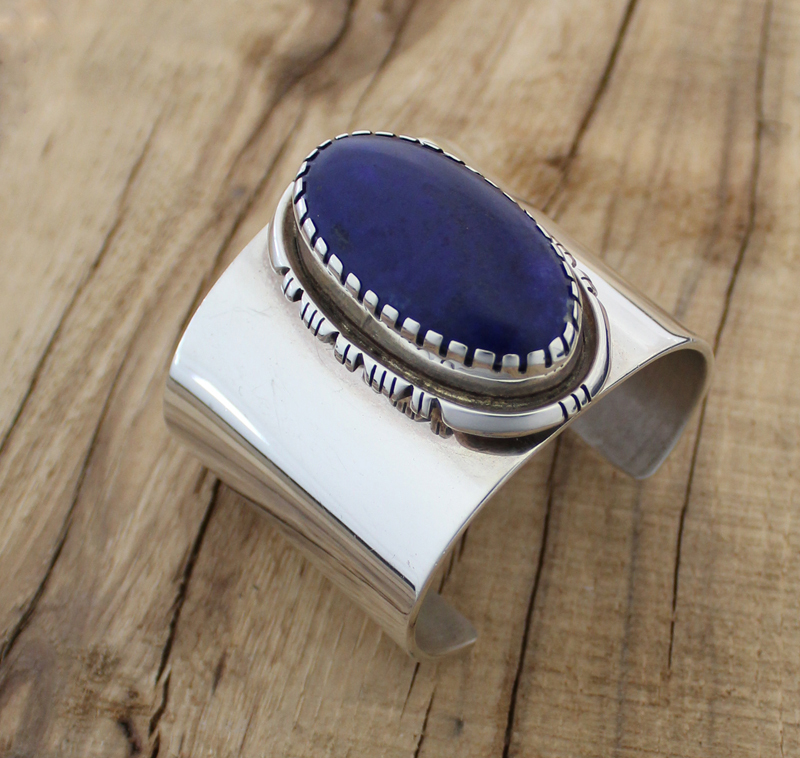 The handcut silver design around the magnificent long-oval deep blue Lapislazuli (short: Lapis) creates an outstanding center piece. 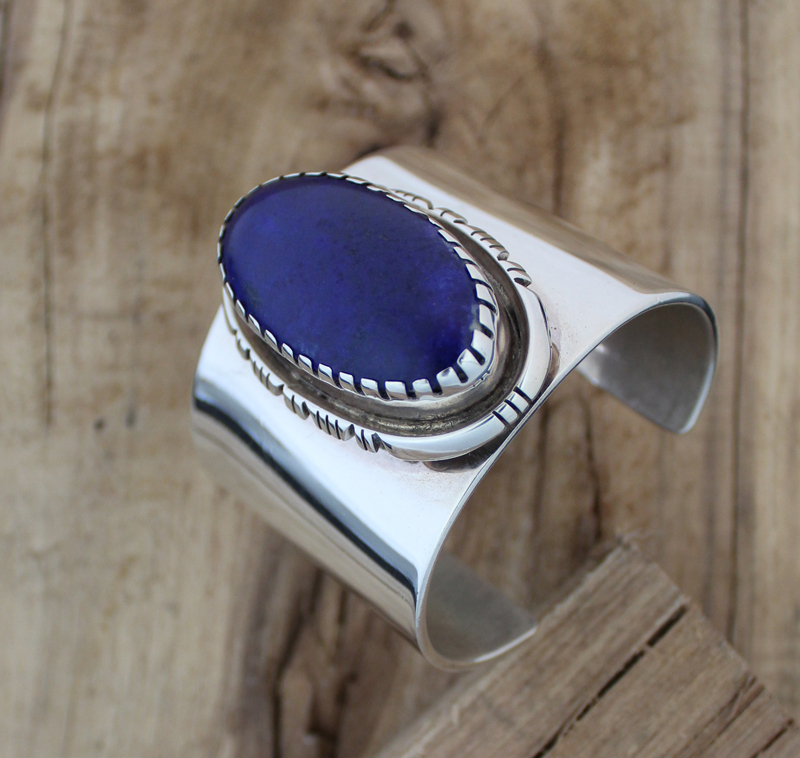 The sturdy silver cuff will fit a medium-big wrist.